The new 2015 Dodge Charger Pursuit will soon be patrolling the streets, as the latest muscle car for law enforcement. Based on the released images, Chrysler’s new police vehicle is ready to rumble. The new Pursuit model will utilize some of the latest LED technology and styling trends of standard production vehicles. Some of these include LED daytime running lights, “racetrack” LED lamps, and a cluster of lights placed around the rear lamp. 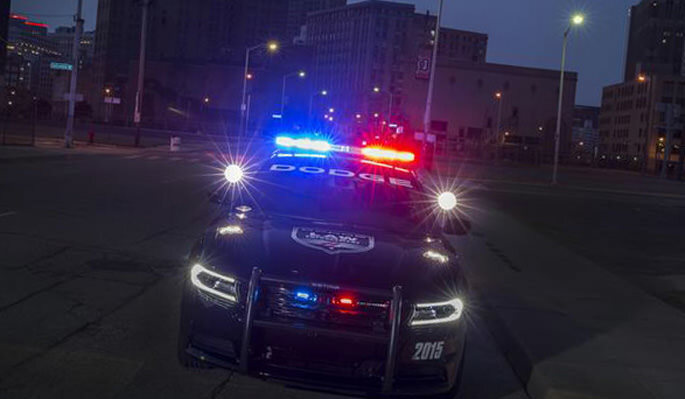 As you would expect with any police vehicle, the new Charger Pursuit is fully equipped with the bright LED light bar; spot lamps, and 18’’ steel performance tires. And guess what – Chrysler’s also bringing back the famous “crosshair” logo on the grille! Of course, the crosshair logo is somewhat difficult to see, since it’s the same shade of jet black as the grille. Talk about old school! When it comes to the engine, police forces can choose between the 3.6L Pentaster V6 or the larger HEMI V8. Because of cylinder deactivation, the latter can go from 0 to 60 mph in just under six seconds! 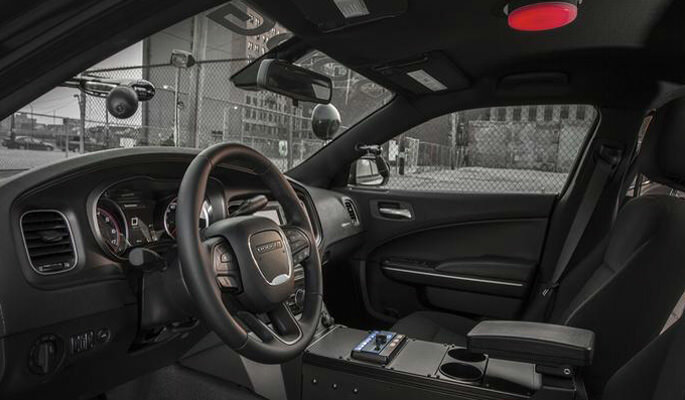 Although built for police work, there are still plenty of creative design aspects inside the vehicle – these include a column mounted shifter, ballistic door panels, and front seats with steel backing. Unfortunately, if you’re not a cop, the only way you can experience this vehicle firsthand is if you’re riding on the back seat! What do you think about the new Pursuit? Comment below and leave your opinions! At ShopPMLIT, you can find the best in aftermarket automotive parts and car accessories! Their extensive catalog has individual headlamps, as well as auto lighting systems for your vehicle. You can choose between CCFL, Plasma, or LED lighting systems that can replace the headlights of your car or truck. From headlights, to taillights – ShopPMLIT has what you need! They offer projector headlights, halo ring lights, fog-lights and many other types of auto lamps. They can even provide custom modifications to lighting systems!